Paying a premium for a sound bar doesn’t always guarantee you the best sound. Which? has revealed Don’t Buys costing hundreds of pounds, along with Best Buys costing less than £200. And our latest results are no exception. 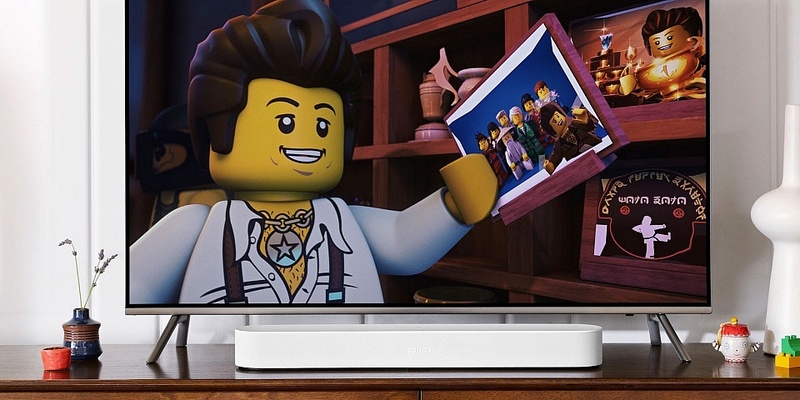 A great sound bar should deliver a powerful, immersive experience that can’t be matched by your TV. Compared with the boxy, distorted sound of typical TV speakers, a sound bar should make movies and programmes sound spacious, detailed and natural. Some models we’ve tested have special features that should produce excellent sound quality. However, such features don’t always work as well as they should. For example, many brands claim their models are able to deliver realistic surround-sound audio that fills a room, without the need for extra speakers like a subwoofer. However, in practice, we’ve found that very few sound bars live up to this. Most models we’ve tested come with a wireless subwoofer: an external box designed to bring music and movie soundtracks to life with deep, powerful bass. But we’ve found they’re not always a welcome bonus, with some being far too harsh and rumbly while others deliver bass notes so late that it spoils whatever you’re watching. We’ve tested 10 new models from the most popular brands, including Bose, Samsung and Sonos. Check out the reviews below to see how well they performed. 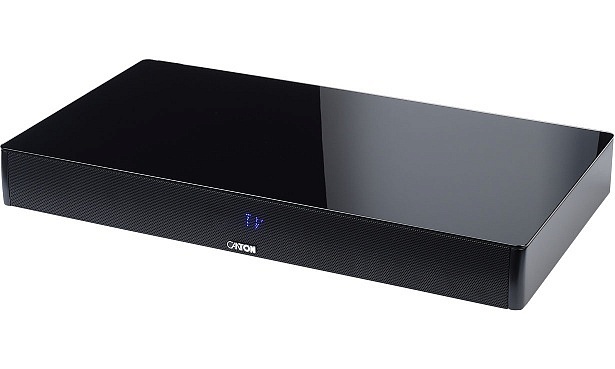 Or head to our buying guide for advice on how to buy the best sound bar. It pays to do a little research to ensure you buy a sound bar that’s good value and creates the best entertainment experience for your home. Go straight to our new reviews below to find out which models betray their convincing marketing descriptions – our verdicts aren’t what you might expect. 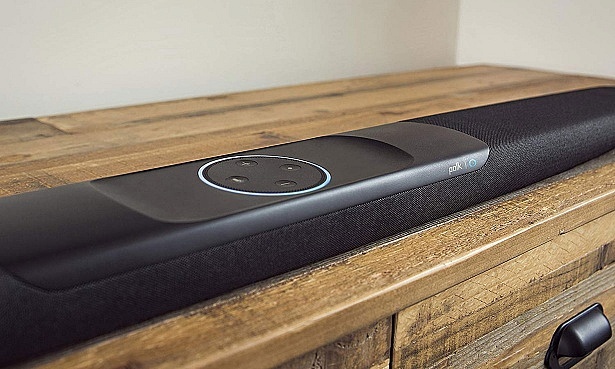 This high-end sound bar has Amazon Alexa built-in so you can use effortless voice control to pause, play and rewind TV. Voice control is becoming an increasingly popular feature with sound bars, enabling you to use voice commands to control volume, select a source and more. You can also control this sound bar with the Bose app or the remote control. It’s compatible with Amazon Music, Spotify, Deezer and TuneIn, plus you can use the Bose Music app to have all your music in one place. Exciting features mean nothing, however, if it doesn’t deliver superior sound quality. 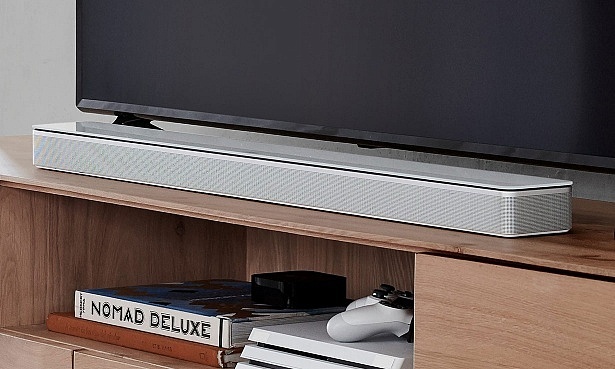 So check out our Bose Soundbar 700 review to see whether our panel of listening experts were impressed with this sound bar. The Samsung HW-N850 supports both Dolby Atmos and DTS:X, the latest innovations in surround sound technology. 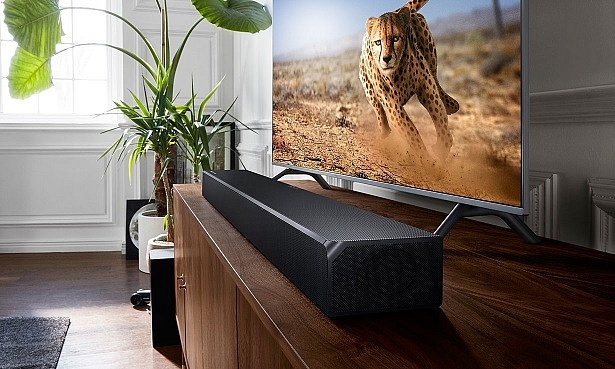 With 13 individual custom designed speakers built into the sound bar, Samsung promises to make you feel like you’re at the cinema with detailed sound and effective bass. Dolby Atmos is a very attractive feature because it bounces sound off objects, making you feel like it’s coming right at you from the walls and ceiling. This sound bar will set you back hundreds of pounds, so make sure you don’t fall for a dud by checking out our Samsung harman/kardon HW-N850 review. This black, stylish sound base is designed to create a home cinematic experience and enhance music by producing sound that’s detailed and natural. With virtual surround technology, the DM 60 should create great sense of space, making you feel like the sound is all around you. The integrated 2-way loudspeaker system and down-fire subwoofer should make speech crystal-clear, and provide powerful base tones. Some sound bases we’ve tested sound better than most sound bars and have even earned Best Buy status. Find out whether this is one of them by reading our Canton DM 60 review. Here’s another model with built-in Amazon Alexa so you can stream music, control smart home devices and much more, all without lifting a finger. And with Dolby/DTS surround sound decoding, you should get room-filling sound. Another attractive feature offered by this model is Polk Voice Adjust Technology that allows you to customise voice levels to make speech clearer. We’ve tested plenty of models with attractive features but mediocre sound. 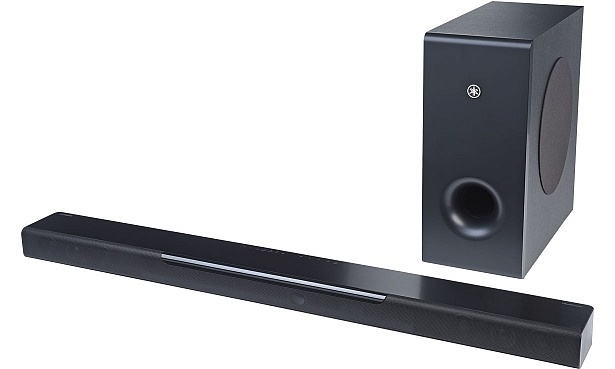 Find out whether this sound bar lives up to expectations by reading our Polk Audio Command Bar review. Hitachi promises big sound at excellent value. This basic sound bar has Dolby Audio and DTS Studio sound which should, in theory, should provide a dynamic audio experience. With cheaper products, it’s always hard to know whether the price reflects the quality or whether you’ve struck a bargain. We’ve tested sound bars of a similar price that have become Best Buys, but we’ve also found ones that are shockingly bad. Read our Hitachi AXS460BTU review to find out which category it falls into. 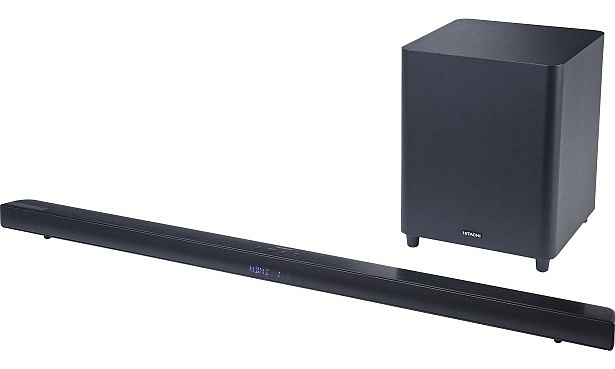 This sound bar is part of Yamaha’s network audio system, MusicCast. So, if you already have compatible Yamaha MusicCast products, you might want to complete your set up with this model, which uses DTS Virtual:X surround sound technology. With built-in Apple AirPlay, you can wirelessly stream music from your Apple iPod Touch, iPhone, iPad or other compatible Apple device. Even if you use another brand of smartphone or tablet, you can still use Bluetooth to stream your favourite playlists. With this model being more expensive than most, make sure you’re getting the best product for your money by reading our Yamaha MusicCast BAR 400 review. 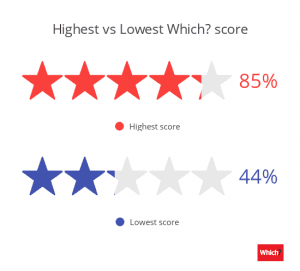 Fake reviews are a growing problem for online shoppers. We’ve found Facebook groups with over 87,000 members and adverts for hundreds of products in which sellers demand high ratings in return for a refund on a purchase. Use our expert advice to get the best out of the sales. Additionally, make sure you’re reading genuine, independent sound bar reviews by searching for the product you’re interested in on Which? to see our verdict.